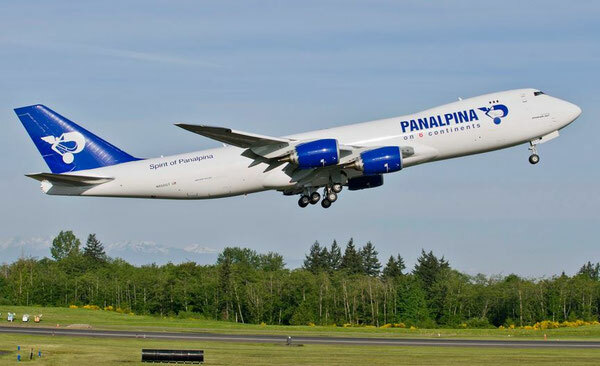 The Swiss logistics giant Panalpina reports a decline in tonnage transported for the first half of 2015 based on a year-to-year comparison. Simultaneously, the profits from carrying cargo went down even more. The air freight biz of the Basel-based agent is currently going through a rather disappointing phase. While the general market grew by about two percent during the first six months of this year, Panalpina’s cargo volume dropped 2.3 percent. In total, the Swiss company transported 407,800 tons between the 1st of January and the 30th of June. Rather discouraging is also the 3.3 percent decline in the gross profit per ton, totaling CHF 720 (€684). “Lower volumes in the automotive and energy sector were at the heart of the decrease in air freight volume,” notes the carrier in a release that speaks of “significant declines” and describes air freight development as one of the “low lights” of the company’s biz for 2015 so far. A realistic description, as seen by an EBIT of CHF 46.0 million (€43.7m), trailing the HY 2014 numbers by 11.3 million (€10.7). The EBIT-to-gross-profit margin in the first six months of 2015 fell to 15.7% (HY 2014: 18.4%), but was up sequentially from 13.2% (Q1 2015) to 18.2% (Q2 2015) due to lower costs. In a nutshell: the air freight results presented by Panalpina are quite meager. In contrast, ocean freight volume grew 3 percent in the first half of the year, totally in line with general market developments. However, gross profit per TEU decreased 7 percent to CHF 299 (HY 2014: CHF 320) which meant a gross profit of CHF 237.3 million (€225.4m), down 9.3 million (€8.8m) in comparison to HY 2014. Logistics reported a positive EBIT of CHF 1.5 million (€1.4m) for the first half of 2015, after a loss of CHF 4.3 million (€4.08m) for the same period last year. In its announcement Panalpina points out that in the final analysis the company’s profit remained stable despite the challenging business environment. Asked about the development of the company’s cargo network activities, corporate media relations manager Sandro Hofer emphasizes the ongoing mix of their own capacity, provided by a Boeing 747-8F operated as ACMI (by Atlas Air on behalf of Panalpina), covering Luxembourg-Huntsville, Alabama, Mexico and back. This is complemented by several agreements with other carriers, assuring Panalpina transport capacity to Brazil (Viracopos), West Africa (Pointe Noire) and the Far East (Shanghai). “The global network we offer our clients is very stable and fulfills its mission in a substantial way,” assures Mr Hofer.